John: I Am A Washingtonian Native born and raised but have lived all around the DMV my father is from Ghana and my mother may have Native American in her bloodline. Copa: How did you first discover your love for poetry? ​John: I believe everyone has a gift from our creator mine is poetry as well as empathy which can be bothersome at times if one cannot control it.. 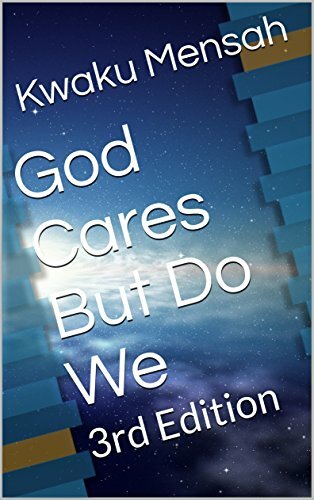 But I believe as I can basically write about almost anything if I take the time that it is a gift from our creator. Copa: What area of poetry interests you the best? John: I would say because of my own writings Non-Fiction Poetry poems about lost love, life and its experiences. Real world pain and joy. The actual experiences that one goes through in life. Copa: Do you remember your first poem? Copa: What inspired you first book of poetry? ​John: I feel that I was inspired by our creator to express with the gift he has given me the things I see going on in the world today and why they are the way they are.. we have been given so many chances so many lesson to live life by but we refuse to adhere to guidelines that are for any basic civilization to thrive and survive. Copa: Is there a second book in the works? And would I like to share anything about it? John: ​Whatever Our Creator Wills Will Be and I will never stop. Copa: What is your personal philosophy on poetry in general? ​John: My Overall Philosophy would be it is a way to reach the masses and express oneself that one usually could not and would be ignored and in a way a vital way to reach people if they take the time to read and feel what someone is trying to display while others take for granted the feelings of others wonder why they get treated in such a way but disregard the next. Copa: Are there any other forms of literature that interest you? Copa: What does the future hold for Kwaku (John) Mensah? ​John: The Future Holds What My Creator And God Wills for me as I make my choices and decisions there are many roads but few destinations and I hopefully end where my God has designed for me as I open myself and feelings up and use the gift he has given me for his purpose not mine so only time can tell of what is in my future and I am ok with that as there is so much more that I have not expressed that I will and can. 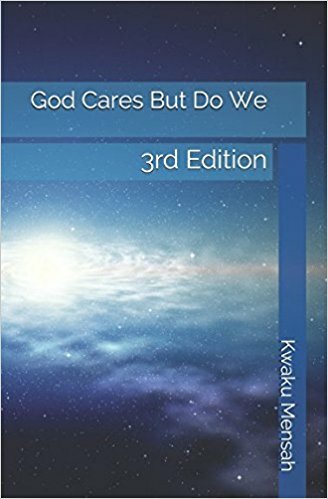 God Cares But Do We: 3rd Edition - Kindle edition by Kwaku Mensah, Amber Mensah. Literature & Fiction Kindle eBooks @ Amazon.com.